DEBACLE – that is the only word capable of accurately describing yesterday. It started poorly when our first selection was delayed to realign the drop in/drop out 410m boxes, then the boxes didn’t open on the initial false start. Our tip Cloona Express (Fabregas x Magic Matese Mar ’15) was selected primarily due to its box speed, and naturally on the restart he didn’t begin at all. It is a gap in the rules of greyhound racing and with starts so critical, all bets should be refunded on false starts like this. Ideally the race should have been abandoned as there can be no guarantee the dogs will run to form after banging in to the box lids. Big Rough (Lochinvar Marlow x Bogie Dawn Feb ’15) was majorly overbet and never reached a price we could be happy to risk him at. Fortunately for us as he did not run anywhere near up to his last start win. The race was notable as it became the first race over the 485m for box eight to win since the new track opened. For good measure, box eight also scored another statistic later on the program when Nangar Rock won Race 8. Race 8 was also the last of our tips for the day and after securing $1.90 about the 2017 G1 Silver Chief and Temlee winner Lightning Frank (Black Magic Opal x Kirabilli Abbie Sep ’14) we were feeling confident, but it was to no avail. Lightning Frank ran second but disappointingly for supporters, ran like he had never seen the track before. For a redesigned track that has a different camber and radius to the old track and to other Victorian tracks, it was a mistake to assume that the dog had trialled there. Lesson re-learned again. 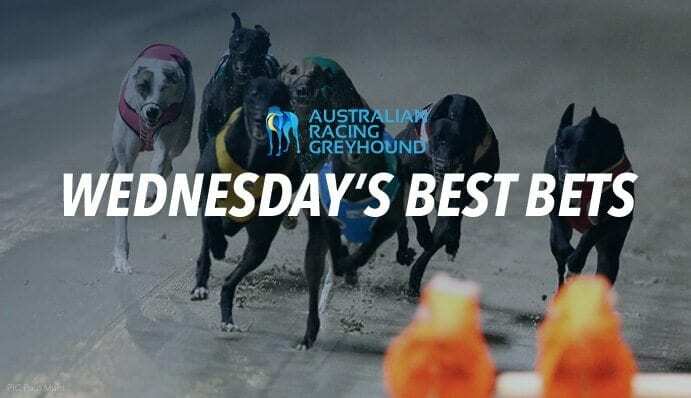 Taking $1.90 about a dog resuming from an injury spell that we could not confirm had trialled at the track was a mistake. Yesterday’s eight unit loss doesn’t do a lot of damage to our August free greyhound tips results, and as we look to close out the month they still look very healthy. Big drop in grade here for Lektra Jenny (Walk Hard x Lektra Angie Jul ’15) who is first up at “The Mount” but should have no trouble taking care of this field. Won last start from box eight at Geelong making it three wins from nine starts, and finds herself in a weak 400m race here up against mostly one and two win greyhounds. Likely not to have seen the track, but also likely not too matter. Class should prevail. Ailla (Magic Sprite x Mon Cherie Feb ’14) looks ideally suited to the rails draw after a very good third at over 40/1 last start at this track from box three. She was well away then but immediately checked back to second last before putting in a huge effort to find third. Looked to have really appreciated the change of track away from Ipswich and has the box to go on with the job here now even though probably better suited to 500m racing. Will fly under a lot of radars here so we can enjoy a pretty safe each way bet today at odds. AustralianRacingGreyhound.com recommends betting with The Global Tote which consistently beats the TAB odds on offer. To access this product you need to join Topbetta.com.au.